Marketing your company or brand can often seem like a daunting task. 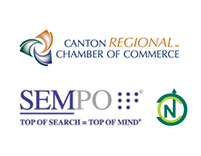 Many business owners have trouble even knowing where to start. If you are faced with this situation, you’re not alone but there are simple solutions to get you headed down the right path. This post may seem like a pep-talk, and in some ways it is but the best place to start, in my opinion, is to follow these four core principles. Four simple ideas to keep at the heart of everything you do. Four, time-tested ideas that breed success but are often overlooked. Excitement is contagious, and you need someone to spread that excitement about your brand. Just as a fan (fanatic) is excited about their team, celebrates the wins and finds the positives in the loss, you should be out there ‘hyping’ your brand. Customers and employees know when leadership is not excited about the products or services they sell and it makes it hard for them to get behind the company when they sense this. Are you your businesses or brands biggest fan? Do you get excited when you have success, do you share that excitement? Be that leader, the brand evangelist, the hype-man of your company. The past is the past, and the future is changing rapidly. Sure it’s great to celebrate a success or a big win. Every team needs to do that, but if you get complacent in your efforts, you will soon stop reaping the benefits of your past success. Marketing windows close quickly, audiences get bored with the same tactics and messaging. Therefore, you should always be looking forward, willing to try new channels and ideas. Some may succeed, others may fail but don’t settle in the past. The best marketing comes from customers who fall in love with your brand and who become advocates for it. People buy into your business not because you say it’s great, but because they’ve heard it works from someone they trust and know. A little effort on your part can turn into a lifelong customer who spreads the word about your business so don’t neglect customer care. It always pays off in the long run. To gain a lifelong customer who becomes a brand advocate, you need to operate with integrity. Integrity needs to permeate through every aspect of your business, from the top, through the marketing and into the customer service. The public is quick to spot someone with operates without integrity and in today’s climate, and social media word can spread quickly. Bad press can quickly kill excitement about your brand and turn away potential customers. On the flip side, integrity breeds enthusiasm and enthusiasm is contagious. 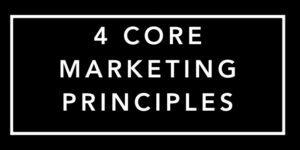 Keeping these four principles at the core of your marketing efforts can help your business thrive! Operate with integrity, get excited about what you offer, spread that excitement to others and never settle on your past accomplishments.